Tasks take a third longer to complete when staff are interrupted by email, new research from Loughborough University has found. 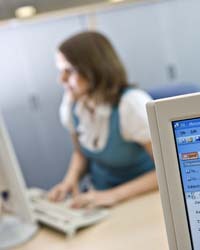 Academics from the University’s Department of Information Science have conducted several research projects into the effects of email on staff productivity and stress levels. In this small study the team focussed on a large UK car rental company where selected staff were given a task to complete, followed by simulated email interruptions. The interrupt handling time, recovery time and the additional time to complete the original task were then measured. The study found that a typical task takes a third longer to complete than undertaking a task with no email interruptions. Dr Tom Jackson, nicknamed ‘Dr Email’ for his extensive research in this area, led the project. He said: “From previous studies we knew that email causes disruption and a loss in productivity, but it was incredibly interesting to discover just what an impact email interruptions have on individual tasks.